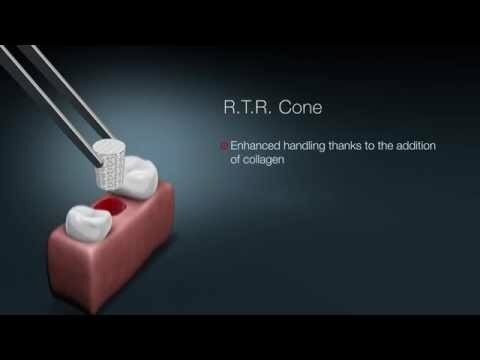 Replacement of bone loss following tooth extraction, intrabony defect treatment. Bone grafting material during sinus lift procedures. Made of ß-tricalcium phosphate granules coated with a matrix of highly purified collagen fibers of bovine origin. Releases calcium and phosphate ions that help promote new bone formation. Osteoconductive micro and macroporous structure that fosters dense new bone growth. Helps renew bone integrity within 3-6 months. 2 x 0.3 cm3 cone in single-unit package sterilized by gamma radiation (minimal dose: 25 kGy).